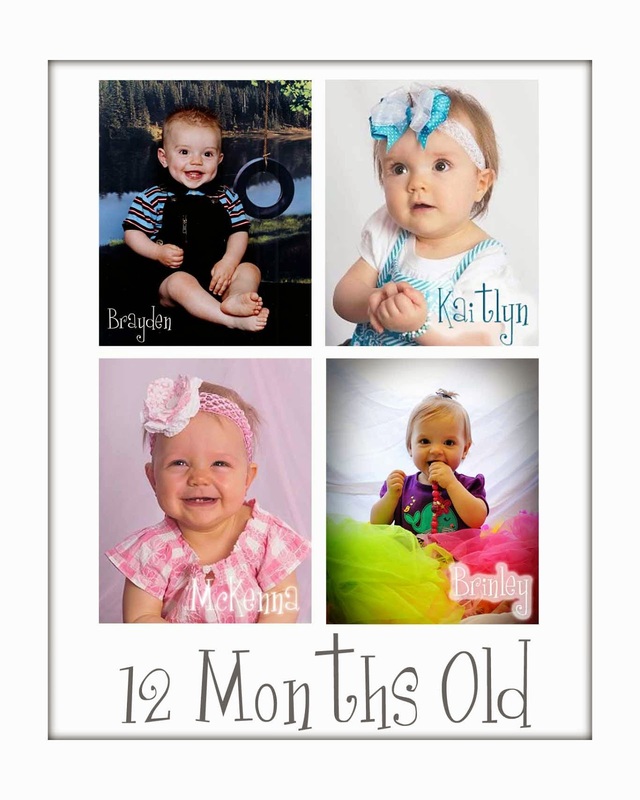 This post contains all of the posts I have that are pertinent to babies 9-12 months old. Specific categories that can apply to a variety of age groups (for example, “Time Change”) are not included in this post. Next Post Poll Results: IF YOU BREASTFED, HOW LONG DID BABY NURSE TOTAL PER FEEDING AGES 0-4 WEEKS? Wow, this great, and perfect timing as I have a 10 month old right now. 🙂 Thanks for your hard work–I wish I could read pretty much every single one of these posts right now! Hey! Never have used your site before but stumbled across it this morning so I figured ill ask you a couple questions! I have a 11mo old anda 3.5yr old. Both pretty good sleepers normally. My little one normally sleeps 12hr nights and takes 2naps, the first is an hour and the second is 3hrs. The girls share a room and lately night time had been horribe! The little one wakes up screaming between 12a and 1a almost every night. Its been a couple of weeks now and its getting realy old. I thought it was the time change, but then it stopped for a couple of days. Then I thought teething, but now I'm stumped. She is not good at cio she just gets really worked up. What do you think? holy moly! thanks for posting this! my little one is 9.5 months and we are doing great but i am totally going to soak this all in over the next few days. cannot wait! Rachaelray,Is she going to bed too late? Or is she having bad dreams? Laura and kmbuterfly, you are welcome! I could have put my questions under a few different posts, but this seemed as good as any! My 9 month old son has allergy issues, with lots of congestion. The only way we've been able to effectively get him to nap for the past month is in the car seat carrier so he is in an upright position. I've tried pillows in the crib or propping up the mattress but they don't help. Now, when I try to get him to nap in the crib he just wants to play. How in the world do I get him back into the crib? He sleeps there at night so it's not like he's never in there. My second question is about wake/mealtimes. We have always had 6 am as his first feeding, not realizing down the road that 6am is pretty darn early. I've tried to let him just "sleep in" but I think his internal clock is just set now, because he usually wakes up before I do. Is there any way to get him to sleep later? As he approaches a year I'd love to get his meal times closer to ours but I am not sure how to do that. Right now he eats at 6am, 10am, 2:30pm, 6:45pm. Bedtime at 7:30/7:45. Me again! As an update, I've been weaning him back off the car seat and he's napping better in the crib, so I guess you can ignore that question. :)My biggest concern is regarding his schedule. Right now first feeding is at 6am, although he's always awake by 5:15 or 5:30. I've read where you say the first waketime should be the shortest, and I've tried that but it doesn't seem to matter if he goes to bed at 6:45, 7:15, 7:30, or even 7:45…he will wake up by 8:30 consistently. Which then throws off the schedule for the rest of the day. He doens't eat again until 10:15 and so by the time he eats again he's already been up two hours. Same problem next feeding, eats at 10:15, bed at 11:30 and awake by 12:30. Then meal 2:30 and bed from 3:30/4:00 until 4:30/5:00. How in the world can I ever drop that third nap when he's awake at 12:30 and bedtime isn't until 7:15???? This bedtime is new since my last question. Any earlier of a bedtime equals earlier waketime in the morning. Later bedtime equals restless sleep all night. Meals are at 6am, 10:15, 2:30 and 6:15 on bath nights, 6:30 on non bath nights, bed 7:10 asleep 7:15.Also, there's been two nights in the past few weeks where I actually had to wake him at 6am. On both occasions, he had great overnight sleep but that day was horrible. Bad naps (two hours vs. three) and crabby. I'd love to push his morning waketime until later than 6 but he just won't sleep that long. He's a consistent 10 hour sleeper. I've tried just not giving that third nap, after being up since 12:30 just to see what happens. He'll have a real crabby period around 4:00 and then better until dinner. Unfortunately, he fell asleep during dinner every time and ended up in bed way earlier than usual, which meant waking up too early the next morning.Any suggestions for better naps and altering his schedule so I can eventually drop the 3rd?? And also how to get him to sleep in until 6:00 rather than waking early? See my posts on "time change" for how to get her morning waktime shifted.For naps, you will first need to figure out why she is waking early from her naps. I have several posts to help you try to figure that out. Good luck! hi i have asked this question before and still have not got a response, so we will see if this works! My now 10 and a half month old has only been taking one nap usually around 10 am now and refuses to take an afternoon nap i lay him down and he just plays in his crib all afternoon ( i try to put him down around 2-3 ish. he is eating 3 times a day (bottle and solids) and a bottle right before bed around 7:30 he sleeps great up to 8 am. This has been going on since 8 months.. he is fine to take one nap like he isnt very fussy so is it normal for my babywise (by the book on most things) at 10 1/2 months to be only taking one nap?? and if so should i push the 2nd one?? or move around the one he has now.. ahhh please help!